It’s hard for me not to write about the Docker container technology when there are so many developments to follow. So I am just going to keep posting what I see out there. Tonight I ran across an interview with Jérôme Petazzoni, a Docker senior engineer who discussed Docker’s fit with DevOps technologies. In the interview he discusses how Docker fits into the current tool sets people use and when it is most useful as a primary or complementary tool. There is not a deep knowledge abut how to use Docker. How does it fit with Chef, Puppet, Salt, or Ansible? Petazzoni says Docker is not a replacement for these technologies nor does the organization want it to be. But you no longer have to make that investment super early and face that steep learning curve. Instead of saying, “I’m just going to write some shell scripts because Puppet is so complicated!” you can use Docker because it won’t be harder than those shell scripts. Instead of saying, “I don’t want to use Puppet for that small, little deployment I’m working on,” you say, “OK, now I have one hundred servers, so it makes sense to use Puppet.” You’re happy to use it instead of seeing it as a burden. The need for ease of use and simplicity has become a cry I have heard more often when talking to developers and operations people at conferences about configuration management technologies. The complexities of these tools are considerable and complicated to manage. Many of the problems stem from complex integrations. …You have to make sure that you are using the same distro, the same libraries. Making sure that all those environments are perfectly aligned can be a lot of work. Docker solves that because you are starting with a given base image, and it’s guaranteed to be the same image everywhere. Docker makes the new stack becomes more tangible. But Docker is not a cure all. More so, it’s a catalyst for moving to lightweight services which are far more applicable to this new stack world than heavyweight, legacy technologies. 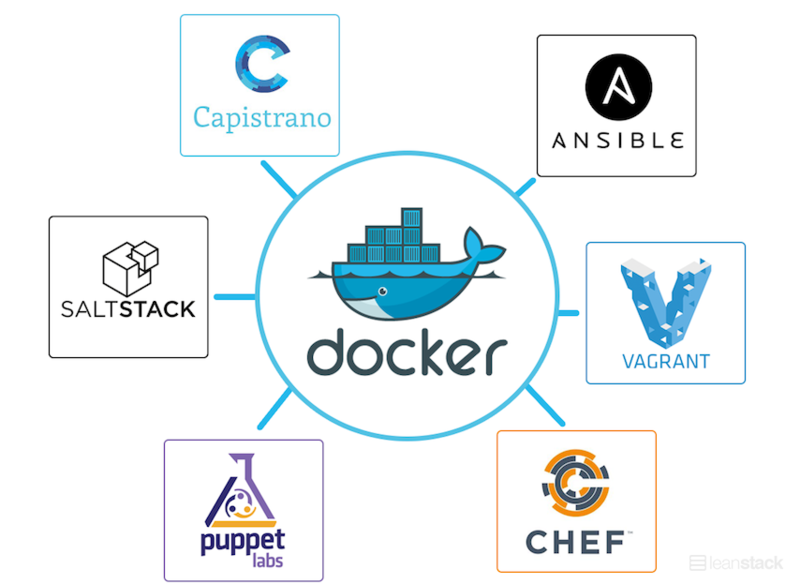 And that’s evident in how Petazzoni views Docker’s fit with DevOps offerings. Here’s a link to part one of the interview about how Docker was born. Part three will be published next week.